Here is my promised pics of CiM’s new color, Mermaid. It’s so beautiful and saturated. You can see how bright it is compared to my usual palette- I discovered it doesn’t really react to silver in any way. I fumed it and laid wire and nothin’..but it does react to ivory w/ a dark line btwn the two colors. Just like Copper Green and Ivory. Other CiM colors Mink and Tamarind Odd are below. The hollow w/ circles and dots is Tamarind Odd and Mink is the one w/ viney stringer work. Lots of possibilities w/ both, Dk. Ivory loves to spread out on Tamarind Odd as you can see on my hollow. 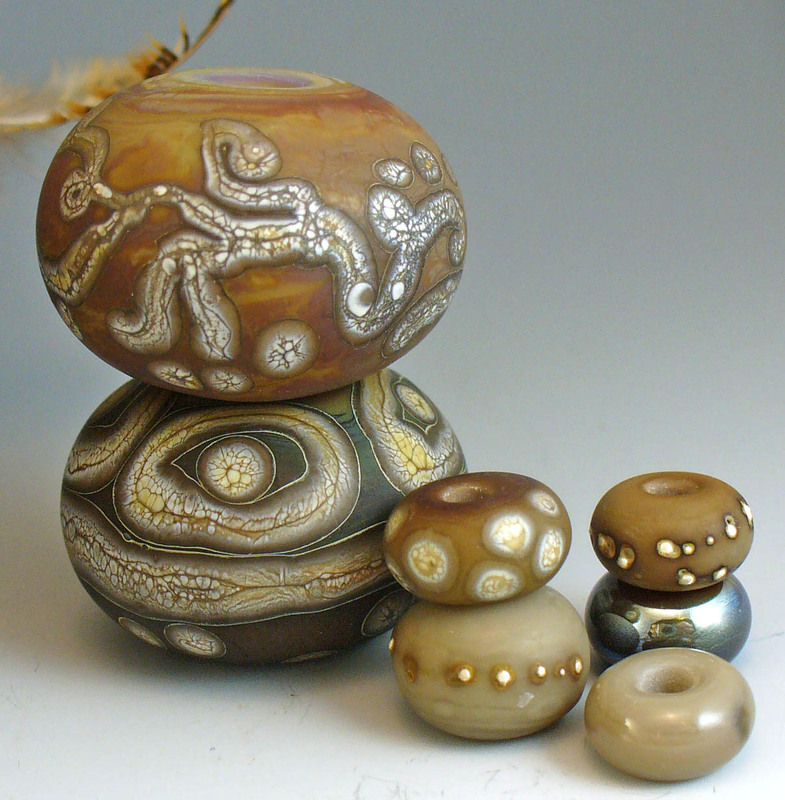 The hollows were fumed also to see how they’d react and the Tamarind got noticeably darker. I’ll have to order more Mermaid for sure.